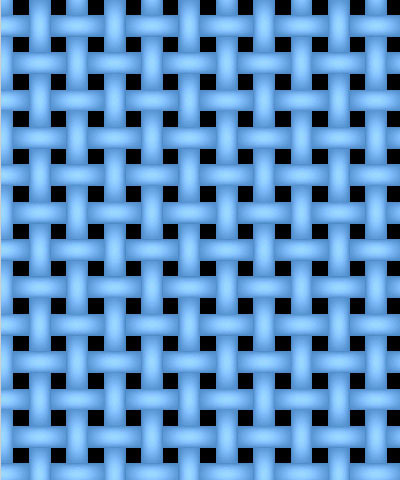 Weave is similar to the Cloth ﬁlter, but produces a texture resembling a much more loosely- woven fabric, such as burlap or gauze. Offset XY position points control the appearance of the weave by moving through the procedural noise from which the effect is generated. Scale X and Scale Y determine the scale of the threads that form the cloth along the X and Y axis respectively. Select Lock to Scale X checkbox to keep these values in proportion, or deselect this option to adjust Scale X and Y independently. Rotation spins the cloth pattern around the Z axis. 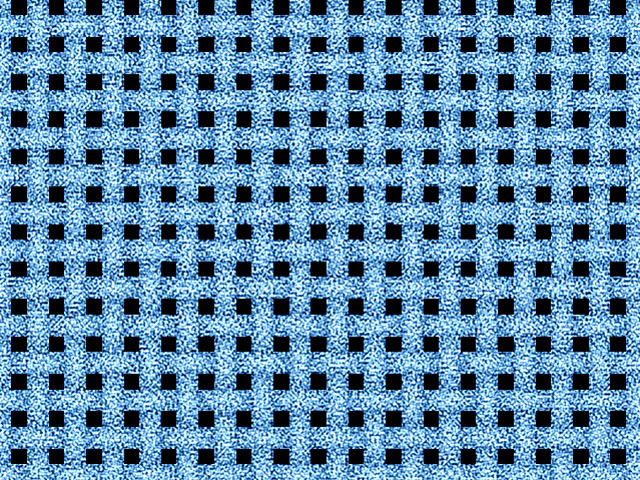 The Color controls set the color of the weave pattern. 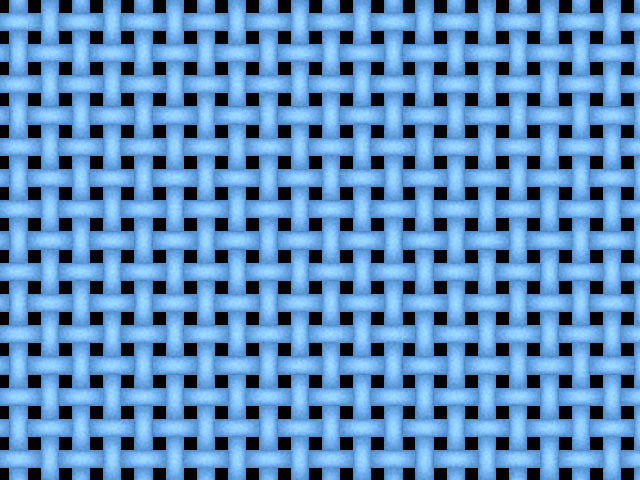 Color Noise varies the color of the threads in the weave pattern. 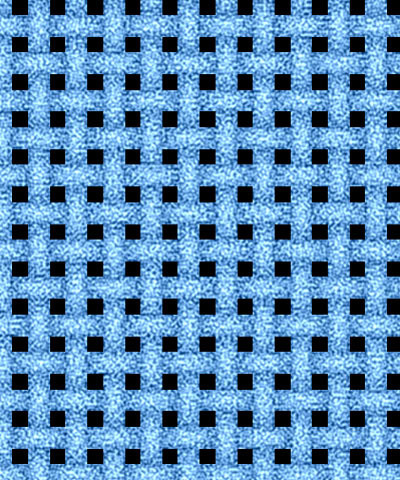 As the Color Noise value increases, the threads appear more mottled, and the shading becomes more irregular. Noise Scale adjusts the scale of the color pattern on the threads. Adjustments to this value are most pronounced at higher Color Noise values. 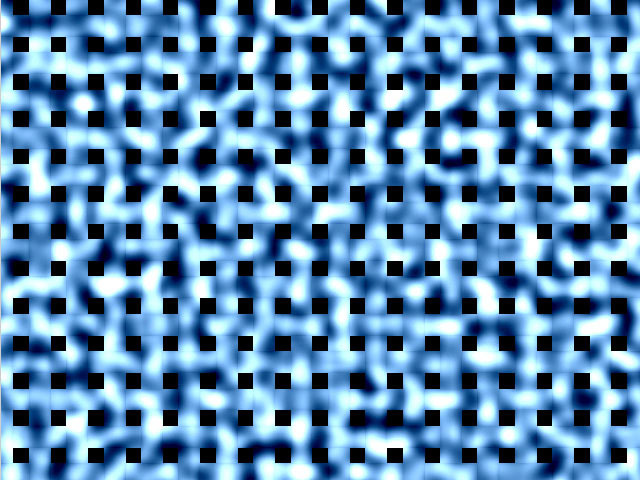 Noise Mutation controls the pattern of the Color Noise at a given point by moving through the procedural noise from which the effect is generated along the Z axis. Weave Thickness adjusts the thickness of the individual threads that form the weave. 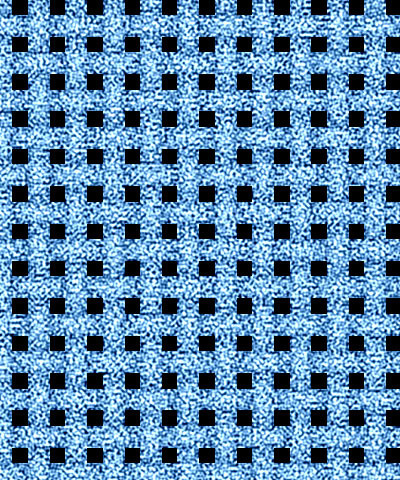 Selecting the Background Transparent checkbox creates an alpha channel from the weave. Black areas are transparent. When this option is deselected, the weave is totally opaque. Select the Source Alpha checkbox to use the source alpha channel as a mask for the ﬁlter, so the texture appears only in the opaque regions of the source. If this option is deselected, the image’s alpha channel is ignored.